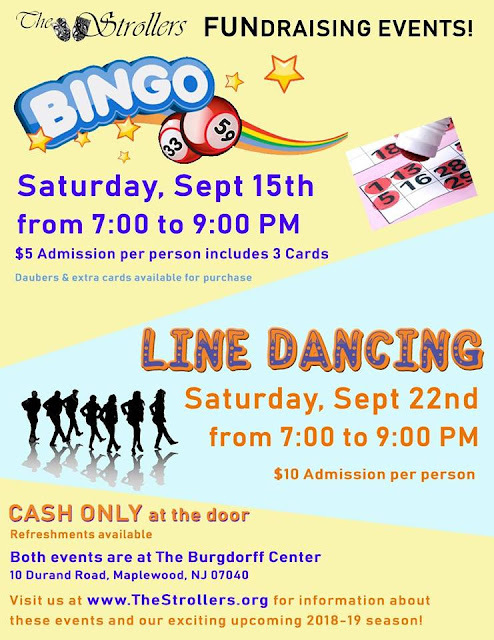 Join the Strollers, Maplewood's premiere community theater, for a fun-filled night of fundraising and family-friendly gaming! Prizes range from a share of the pot to donations from members and local businesses. Refreshments will also be available. Admission is $5 and includes 3 cards. 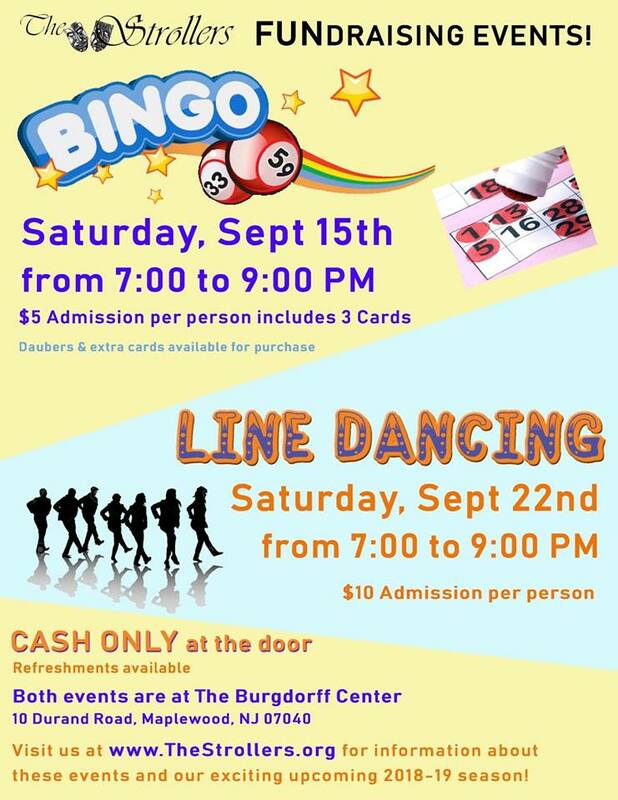 Daubers and additional cards may be purchased at the event. Tickets can be purchased at the door, cash only. A portion of all proceeds will be donated to the Montclair Studio Players to help with flood recovery efforts.